Download Makers Empire 3D software – it’s free and compatible with all devices and platforms. Download the Quick Guide poster for easy reference. Start by watching the videos below. 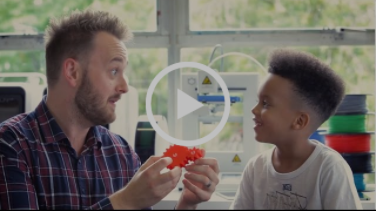 School customers can choose from two solutions to integrate 3D printing and design thinking into the K-8 classroom. 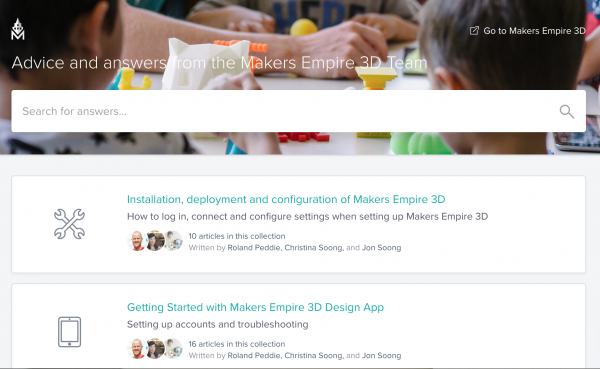 Learn how to make the most of your Makers Empire experience. Browse our Knowledge Base to find answers to commonly asked questions. See how easy it is to start designing in 3D in minutes – no CAD necessary! Know what your students will learn and how they learn it – upfront! Need help with Makers Empire? Please start by browsing our FAQs and knowledgebase. We’ve compiled a collection of commonly asked questions and issues. 2) Filling out this form here.